"THE MILLION COPY BESTSELLER Sapiens shows us where we came from. 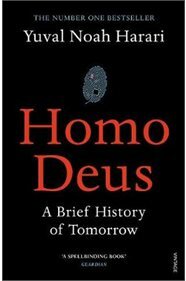 Homo Deus shows us where we're going. Yuval Noah Harari envisions a near future in which we face a new set of challenges. Homo Deus explores the projects, dreams and nightmares that will shape the twenty-first century and beyond - from overcoming death to creating artificial life. It asks the fundamental questions: how can we protect this fragile world from our own destructive power? And what does our future hold? 'Homo Deus will shock you. It will entertain you. It will make you think in ways you had not thought before' Daniel Kahneman"